Hi all. Today we are going to install Jupyter Notebook and connect it to Apache Spark and InterSystems IRIS. Note: I have done the following on Ubuntu 18.04, Python 3.6.5. If you are looking for well-known, widely-spread and mainly popular among Python users notebook instead of Apache Zeppelin, you should choose Jupyter notebook. Jupyter notebook is a very powerful and great data science tool. it has a big community and a lot of additional software and integrations. Jupyter notebook allows you to create and share documents that contain live code, equations, visualizations and narrative text. Uses include data cleaning and transformation, numerical simulation, statistical modeling, data visualization, machine learning, and much more. And most importantly, it is a big community that will help you solve the problems you face. If something doesn't work, look at the "Possible problems and solutions" paragraph in the bottom. Now, let us launch Jupyter notebook. 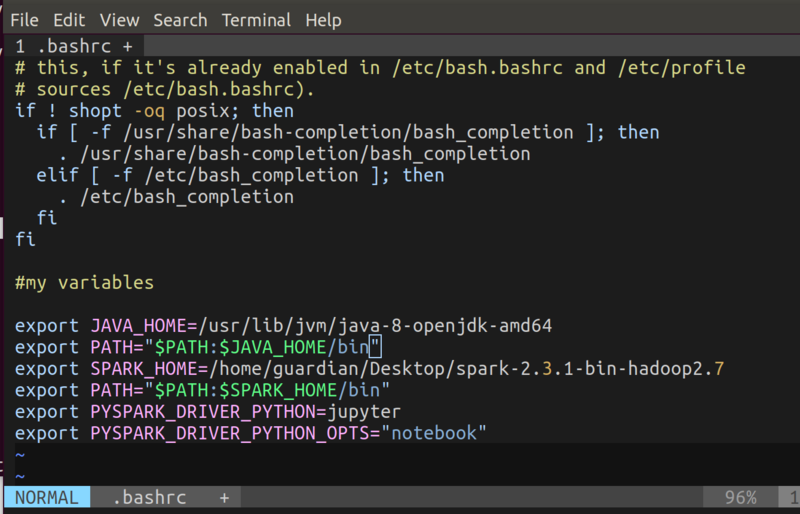 Run pyspark in the terminal. Stop jupyter using ctrl-c in the terminal. Note: To add custom jars just move desired jars into $SPARK_HOME/jars. The output file is a jpmml kmeans model. Everything works! If it doesn't help, reinstall pip3 and jupyter. Paste sudo update-alternatives --config javac in the terminal and choose a proper java version. Run the command without sudo. A specific error may appear if you use system variables like PYSPARK_SUBMIT_ARGS and other spark/pyspark variables or because of /.../spark-2.3.1-bin-hadoop2.7/conf/spark-env.sh changes. Delete these variables and check spark-env.sh.